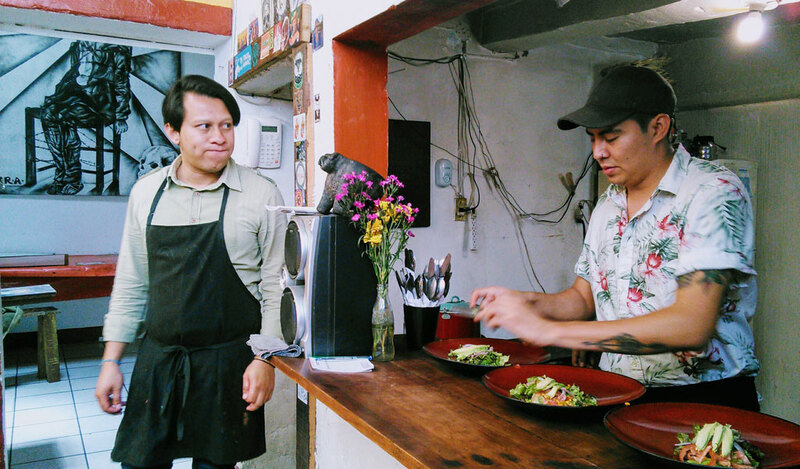 We’d say that Montes and Mateos have done just that – the Oaxacan food at Las Tlayudas, the duo’s restaurant in Colonia del Valle, is pretty much perfect. 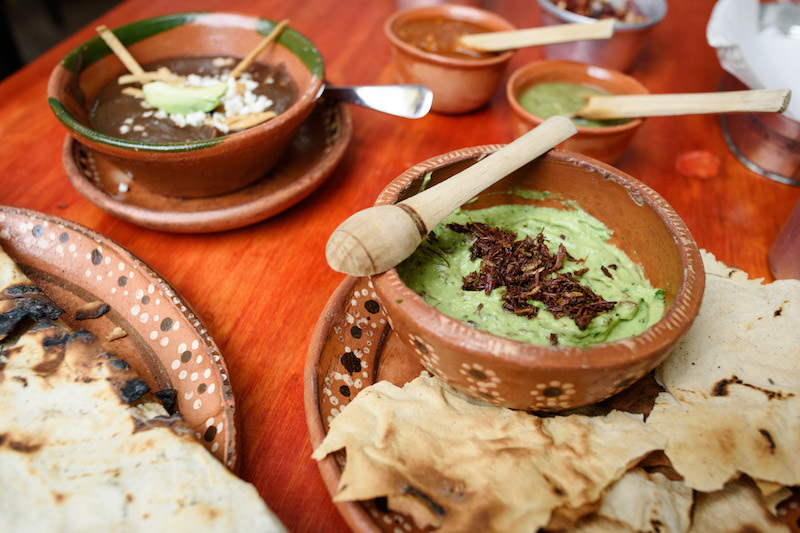 While their massive, crunchy tlayudas covered in tasajo, a kind of salted beef, and quesillo cheese are irresistible, we are equally enamored with the whole bean soup served with avocado leaf and a dollop of cream, and the guacamole with roasted crickets. According to Montes, it’s the chepiche herb that makes the latter so good; all we know is that we can’t stop fantasizing about this guacamole. It all began, however, with tlayudas, a traditional Oaxacan street snack that dates back to pre-Hispanic Mexico. Back then, says Montes, these large tortillas – think thicker than a taco, thinner than a tostada – were more likely thought of as edible plates. 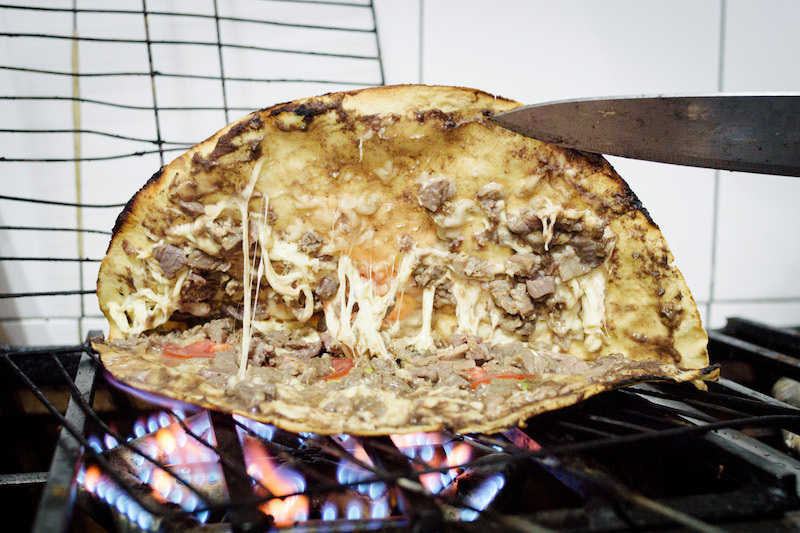 Cooked on equally massive round grills called comals, the tortillas are slathered with a little bit of asiento and beans (famously refried with avocado leaf), and topped with a combination of tomato, quesillo cheese, avocado, various types of proteins and sometimes lettuce or cabbage. Mateos, Montes’ partner, began making tlayudas four stories up, at a late-night, clandestine rooftop restaurant that he started operating in 2010; he was selling them along with beer, mezcal and horchata – a traditional Oaxacan non-alcoholic drink. Mateos’ family was from Oaxaca and he had spent much of his childhood there. Montes, who at the time was working as a freelance film director, was one of his many devoted clients, calling up from the street below to be let up for a midnight tlayuda. 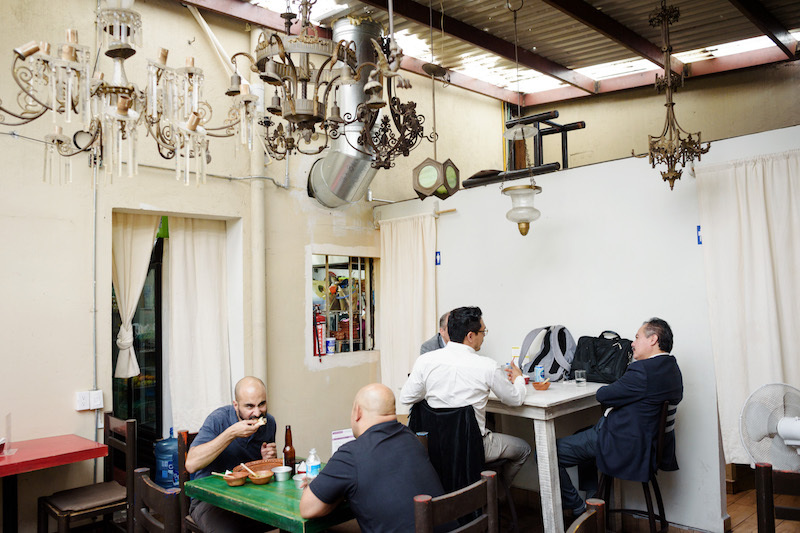 When Mateos got shut down a year later (you can only run a speakeasy-style restaurant for so long), the two friends decided to open up a tiny place in Mexico City’s Colonia Roma, where they would sell what had already proven to be a hit: tlayudas, beer, mezcal and horchata. 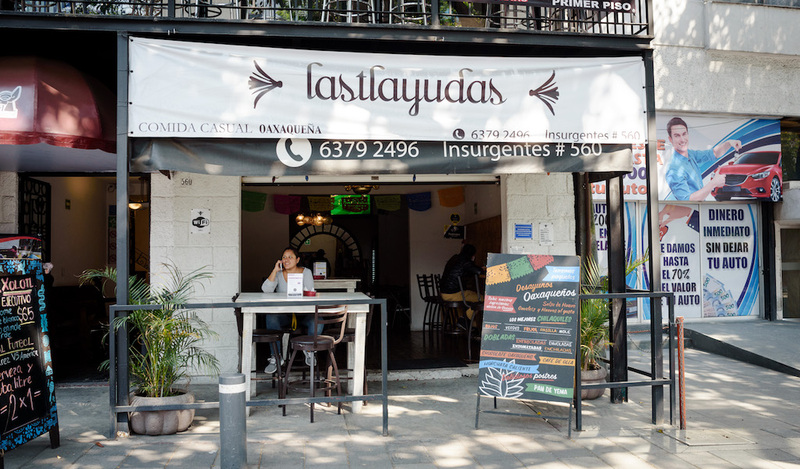 When Las Tlayudas opened, it was a pretty low-key affair, but as Mateos and Montes added recipes to the menu – chilaquiles with bean sauce, sweet plantain molletes, that to-die-for guacamole – their fame started to spread. Their tiny locale in Roma was packed late into the evening and started bustling again by breakfast the next day. Tragedy struck, however, in 2017. The massive 7.1 magnitude earthquake that smashed up Mexico City on September 19 destroyed Las Tlayudas as well. It was difficult to start again from scratch, and rents in Roma, a neighborhood hit hard by the quake, soared as local businesses scrambled to find new digs. 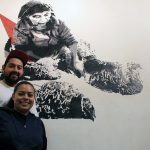 But the partners eventually secured a space – a former lamp showroom (a hodgepodge of lamps still hangs in the back patio) – in neighboring Colonia Del Valle, and Las Tlayudas was reborn, a little bigger but with the same Oaxacan soul. “I was so happy to see all our old customers come and find us, and now of course we have new customers too,” says Montes. 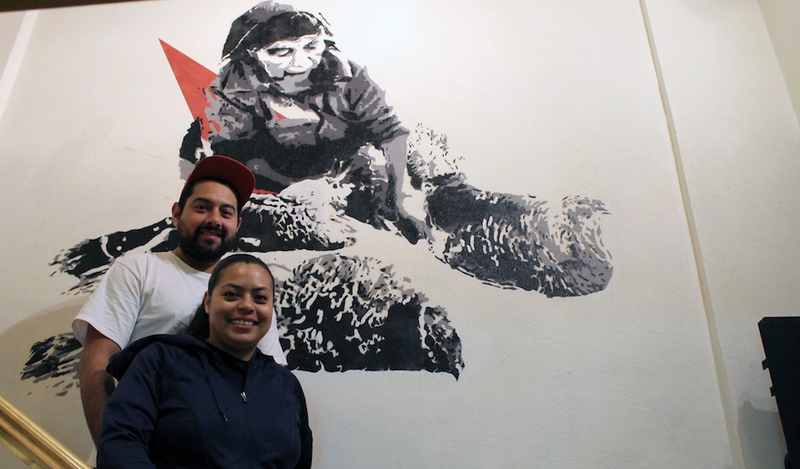 Part of their mission at Las Tlayudas is preserving and promoting Oaxacan food and recipes. 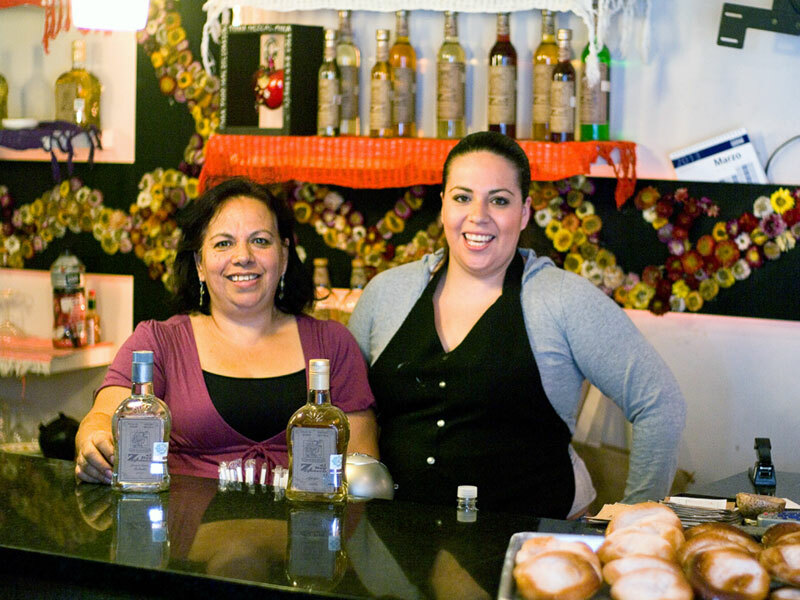 They work closely with a local family in Oaxaca to source almost all of their ingredients, including Oaxacan craft beer and mezcal, which are shipped in every third day or so. While many things at the restaurant have changed in the past few years, this close connection with Oaxaca is one constant. Of all the delicacies on the menu, the tlayuda is still their top seller (the tasajo version being the most popular), but the ice-cold horchata with bits of melon and pecan floating in its creamy depths is a close second. Oaxaca is perhaps most famous for its staggering variety of moles, but the food here goes far beyond that iconic dish. While Oaxacans living in Mexico City search out Las Tlayudas for a taste of home, the rest of us come for a delicious taste of (and insight into) the cuisine of southern Mexico – and a master class about what makes the perfect tlayuda.